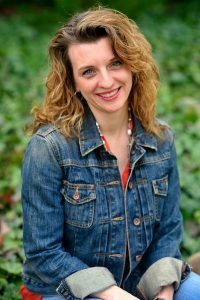 A 2015 Georgia Author of the Year Best Mystery finalist, Larissa writes the Cherry Tucker Mystery series. The first in the series, PORTRAIT OF A DEAD GUY (2012), is a 2012 Daphne du Maurier finalist, 2012 The Emily finalist, and 2011 Dixie Kane Memorial winner. The sixth mystery, A COMPOSITION IN MURDER, releases November 15, 2016. The first in her Maizie Albright Star Detective series, 15 MINUTES, releases January 24, 2017. Her family and Cairn Terrier, Biscuit, now live in Nagoya, Japan, but still calls Georgia home. You might have seen them on House Hunters International recently. I’ve always been a reader and lover of stories. I began writing as far back as I can remember. Starting with lists of words I knew. That graduated into stories, which I sold to my neighbors. I’m inspired by other books I read, but it’s usually real life events–odd things I hear or see, weird news items–that give me an idea for a story. For example, I was at a wedding, where I spoke to a Texas rancher about his wild hog problems. He told a funny story about a famous musician who came to his ranch to hunt the hogs. This gave me the basis for the idea of the Hogzilla hunt contest in THE BODY IN THE LANDSCAPE. I get an idea for the event that kicks off the story and that’s where I start. Usually, the main characters are inspired by the event or vice versa. After I’ve developed the characters and setting, I just start writing. Sometimes it takes writing about three chapters before I feel confident about where the story is going. As I write, I’ve got a notebook and I’m taking notes. I take one scene at a time, moving forward. And if it stops, I go back and read to figure out what went wrong and fix it. I never talk to my characters. They wouldn’t listen to me anyway. ;) However, I’m always listening in on their conversations. We don’t interact. They talk and I listen. Read books in your genre, especially the classics, and read books on craft. Attend as many workshops as you can. Always be willing to learn. My first seven books are traditionally published. Now I’m diving into self-publishing. It was a personal decision, based on wanting to write in other genres, publish more books, and have more control over my schedule and pricing. But I’m glad I began my career with my press, because I learned a lot about publishing, met other great authors, and gained readers I might not have gotten to know otherwise. I love that there are more options for authors now. I love that there are more books available for readers now. And I love you can get books more cheaply now. It’s a great time to be a reader and I think it’s a great time to be an author.